Walt Disney World Resort presents their latest guest accommodation…“Best Friends Pet Care.” Teaming up with Best Friends Pet Care, Inc., Walt Disney World now offers a one-of-a-kind luxury resort to cater to the needs of guests’ pets. Ice cream treats, bottled water and premium orthopedic bedding. Housing up to 300 pets, Best Friends Pet Care offers day or night accommodations ranging from standard 32 square foot all-indoor suites to an extensive 226 square foot VIP (Very Important Pet) suite which includes a raised bed, television and outdoor yard. Accommodations for pocket pets, birds and small mammals are also available. 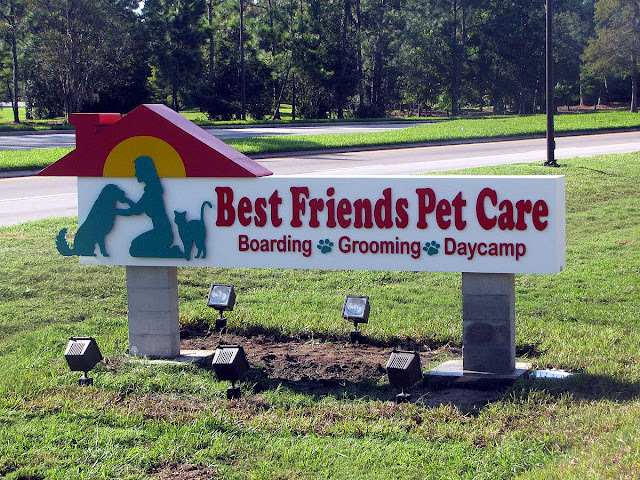 Best Friends Pet Care Resort is located across from Disney’s Port Orleans Resort-Riverside at 2510 Bonnet Creek Parkway in Lake Buena Vista, Florida 32830.